[ Please select ]JNR(XXS) Black/Blue $99.00 - SAVE 41.00!XS Black/Blue $99.00 - SAVE 41.00!S Black/Blue $99.00 - SAVE 41.00!M Black/Blue $99.00 - SAVE 41.00!L Black/Blue $99.00 - SAVE 41.00!XL Black/Blue $99.00 - SAVE 41.00!XXL Black/Blue $99.00 - SAVE 41.00! 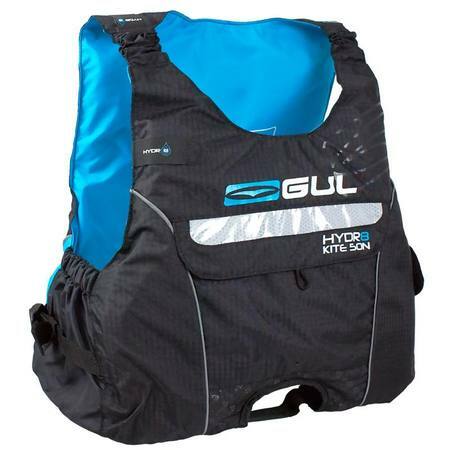 The Gul Hydr8 50N is an Elite Level multi purpose buoyancy aid. After 15+ years of selling watersports gear we can safely say this buoyancy aid is our best and favorite piece of kit for our Top Sailors, Kite-Boarders, Paddlers and Windsurfers. Derek Scott of One Design, North Sails, has just won the 2019 PAPER TIGER Nationals and was wearing our gear and his Hydr8 Buoyancy Aid. Using super-soft, lightweight PVC foam allowing the structure to stay comfortable while keeping its buoyant properties. Elasticated shoulders allow for freedom of movement and flexibility on the water, great for kite surfing or sailing. Jackson Keon, 29er World Champion, with his Gul Hydr8 Buoyancy Aid. 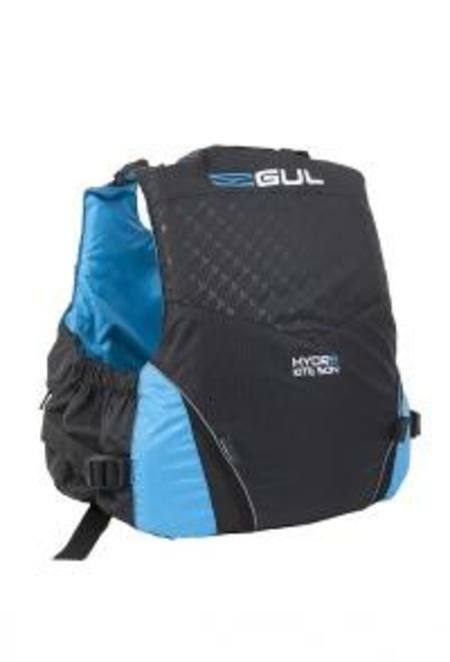 The Gul Hydr8 Buoyancy aid has the added features of being shaped to accommodate a harness hook and also has a Hydration pack attachment available to purchase, to be used GM0371 Hydr8 1L Hydration Pack ideal for High energy watersports. 2018 New Zealand Race Board Champion Ian Young wearing his Hydr8 Buoyancy Aid.